We would love for you to stay up to date with our current events, information, & services. We are always working to bring more comprehensive programs to the community. Check out our full calendar of events scheduled at Destination Tomorrow. Click the link below to rsvp. The 1 Bronx Pride Festival promotes inclusion, community, and dialogue and works toward a future without discrimination where all people have equal rights under the law. We do this by producing Pride events that inspire, educate, and celebrate our diverse Bronx community. is an engaging group discussion about current events that impact the lives of those in the TGNC community. This group meets every Wednesday and Friday from 5:30pm-7: 30 pm. Lead by the Legendary Javon Egypt, this thought-provoking group will keep you informed and entertained. is a therapeutic group that allows creative expression thru various forms of artistry. From sculpting too, water paints to poetry to an open mic night, nothing is off limits when it comes to giving voice to our participants. In honor of Pride Month, Borough President, Ruben Diaz Jr. and representatives of the community raise the rainbow flag. Ruben Diaz Jr., George Silver, Audrey DeJesus, Sean Coleman Bronx Pride New Beginning, Destination Tomorrow. People at this organization are amazing I feel no shade or backstabbing I feel wanted and loved they will help with whatever they can. Destination Tomorrow is a great place to come and be a part of something bigger than yourself for the Bronx Community. They've helped me get insurance and linkage to medical care and gave me something to look forward to. It truly is a privilege to be a part of the DT family helping to serve the Bronx Community in a positive way! With many services to provide to the LGBTQ community DT is more than a LGBTQ community center because they open the doors to allies as well to help everyone. I definitely recommend anyone who needs a positive outlet with positive environment that is provided by DT to come and get involved with DT, especially if you are in the Bronx. 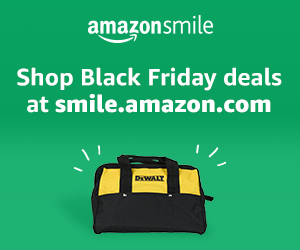 Shopping at Amazone Helps Destination Tomorrow increase its AmazonSmile Donations 🙂 Click the link Below to Start Shopping Away!